Where did Control Center go in iOS 12? And how do you access it? 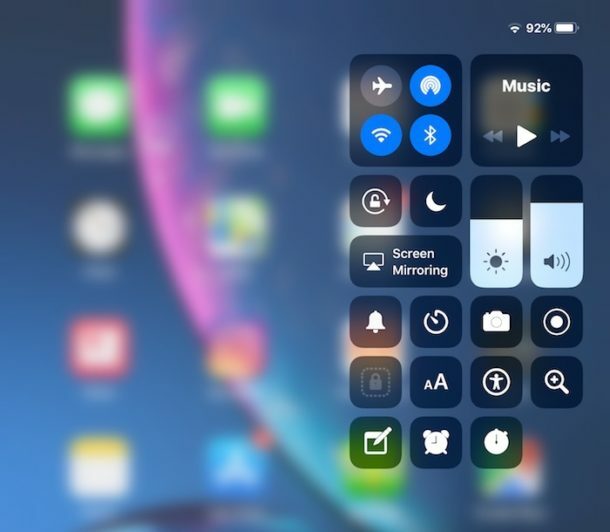 If you have these questions about Control Center on your iPad or iPhone after updating to iOS 12 you’re not alone, as the ability to access Control Center in iOS 12 has changed. But fear not, Control Center still exists on iPad and iPhone, it’s just the gesture that you use to summon the feature that has changed. No longer do you swipe from the bottom of the screen to access Control Center on the iPad and some iPhone models, instead, all new devices will swipe down from the top right corner of the screen instead to summon Control Center. Everything else is the same, including the ability to customize Control Center and all the options are still there, it’s just that initial access which has changed. In fact, this change brings the method of accessing Control Center on iPhone X to all other new iPhone models and all iPad devices, it’s the exact same gesture and same move. Update: iPhone models with Touch ID apparently still use the swipe-up from the bottom gesture to access Control Center, thanks to our readers who noted that change in the comments below. Only new iPhone models with no Home button will use this new gesture for accessing Control Center. However, all new iPad models even those with Touch ID use this new gesture for Control Center access. Actually, iPhones with Touch ID still access Control Center from the bottom—even on iOS 12. My 6s+ still accesses from the bottom. Why the bogus info? iPad with Touch ID accesses Control Center from the top corner on iOS 12, I updated this morning and it’s now like my iPhone X. Are you saying it is different on iPhone 8 and iPhone 6s? So just the iPhone has stuck with the old method? Clear as mud. Good usability to splinter these features into different gestures modes and behaviors for every single device ever made. Where is the consistency?? It’s not bogus. If you read the whole article you would have seen that it does say at the beginning of the instructions that “This change applies to all iPad models, and all iPhone models without a Home button” the latter of which are only the iPhone X and later devices. The 6s still has a home button so the change doesn’t apply to that one. This info helped me a lot struggled half an hour to find out how to access control center on iPad ios12.2. Did Apple really make this change for every device but left the iPhone behind? That’s weird. 7+ iPhone swipe up here also. iPads Air and Air2, swipe down?? Sorry for the error and thank you all for this information, the article has been updated to reflect this. Apparently only the newest model iPhones use the top corner swipe down, but all iPad models use the top corner swipe down. All new iPhones, like iPhone X, iPhone XS, etc without a Home button use the top corner swipe down gesture as well. It appears then that only the iPhone models with a Home button use the swipe up gesture still, in which case nothing has changed for them. Yeah the change is only for iPhones featuring the new home-buttonless design. That’s just the X and the three new models just launched. Seems like Apple wants everyone to feel compelled to upgrade to iPhones with that design and leave the old design behind. That way they’ll sell more iPhones. Does not just tried it. Sorry, but this was a stupid change not needed. Moving the swipe to the upper right puts the damn thing slightly out of reach – how does one swipe with one hand now? I don’t understand why they broke Control Center out of Mission Control on iPad now with iOS 12. I liked it when they were together in a single gesture from bottom up. Now you have two different gestures, different places, different gestures on every phone, every device. Confusing. Top corner, bottom up, top left. Like hot corners but no customization? Why can’t user decide? The change WAS needed. 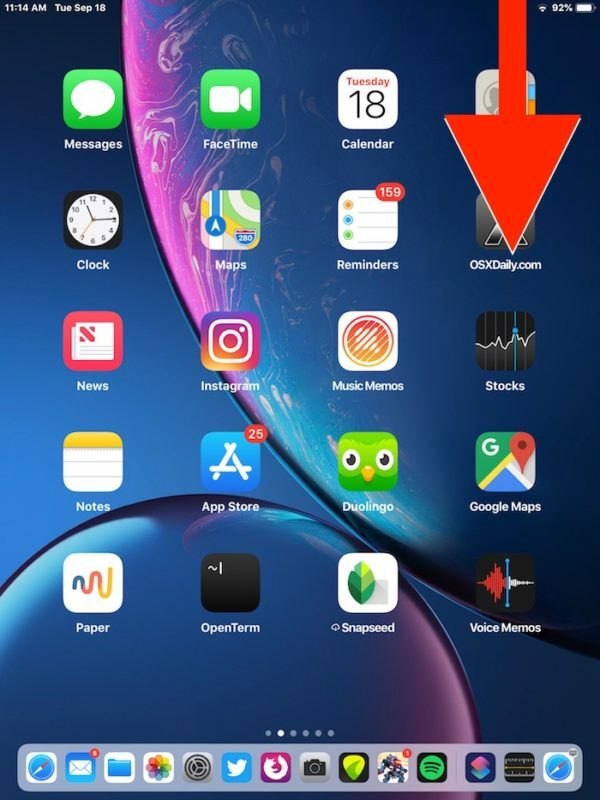 The swiping up gesture is now used on the new home button-less iPhones to access the home screen after unlocking the phone and from an open app. I guess Apple made the change on all iPads for uniformity because people tend to hold on to the iPad for a longer time before upgrading, but left out the older iPhones with home button to try to make people feel compelled to upgrade to an iPhone with the new design. Apple lives mainly out of iPhone sales after all. I forgot to mention, for those who need reachability, it is now accessed by swiping down on the new home bar that replaces the home button on newer iPhones. The control center is still too limited. I want to put Location Settings in there, too. There are many other options users may want to customize. Apple messed with the Control Center just to piss off those of you who would complain about it beeing messed with! Lol. I continue to be saddened at how Apple keeps botching the user experience …with every OS iteration it’s just this slow descent into mediocrity. And if I’m going to paying for mediocrity I see no reason to pay for Apple’s high markups. Another idiotic and unnecessary change just to cause more havoc for users who have for years been accustomed to a way of doing a simple standard task, proving once again these people designing for Apple are idiots. Imagine an auto manufacturer moving the brake and gas pedals, it’s the level of stupidity that Apple redesigns with post Jobs. It was necessary. The iPhone X and later models use the swiping up gesture to access the home screen after unlocking the phone with Face ID or from inside an app. It would have been confusing to use the same gesture for that and for the control center at the same time. Now the change has been made on iPads for uniformity, so the only models not consistent are the ones with a home button: iPhone 8/8 Plus and all previous generations. That’s a shrinking number of devices and I suspect the lack of consistency is an intentional move by Apple to shrink the number even more by making people feel compelled to upgrade (that is, by making it feel like the latest fashion is face id, no bezels and no home button and all iPhones with bezels, home button and Touch ID are out of fashion). No it was NOT necessary, new features should get new gestures, NOT take what has been standard for years for them and change standard gestures to something unfamiliar. This is akin to the auto industry suddenly making all new cars with the gas on the left and the brake on the right. It’s idiotic to force millions of users to rethink such a used gesture. Oh for god’s sake can all of you get a grip; it’s a change, that’s just life. I’m 74 and once understood I never went back. Adaptions is how homo-sapiens survive. The change is pointless, and FORCES us end users to rethink how we access this. There was absolutely no need to make this change, Jeff, other than the idiots at Apple having to reinvent the wheel again and again. Users are fed up with Apple making these idiotic and completely unnecessary changes. Pointless? how, then, would you distinguish between swiping up to access control center and swiping up to access the home screen from the lock screen or from an open app on an iPhone X or Xs? if you can explain this instead of just ranting, I think we could understand your point. It looks like I can’t access the control centre when I am in an app. If I swipe down from the top right corner in an app I get the notifications. Is that right? 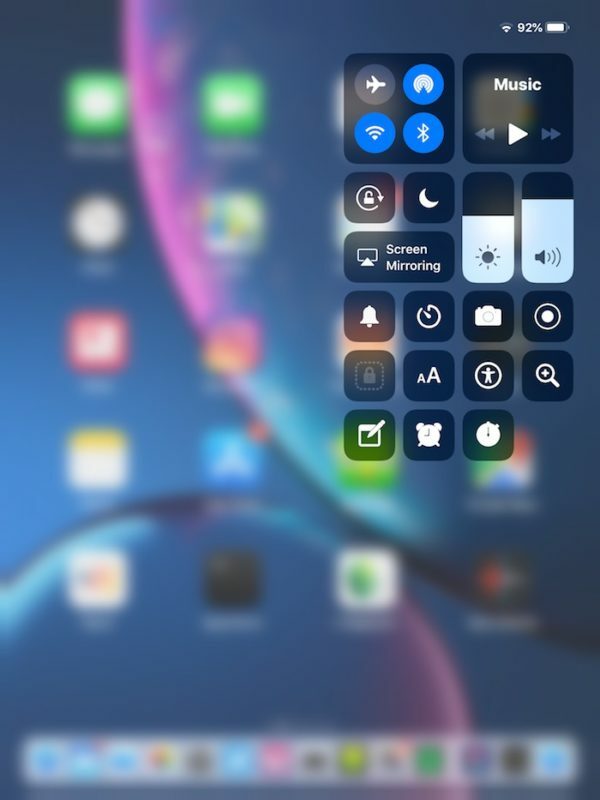 Can you only accès the control centre from the home screen? You should be able to access Control Center from apps, unless you turned it off in Control Center settings in iOS you can check there. It’s the top right far corner, swipe down from that, like the very far corner right on the battery icon thing that you pull down from. As for Notification Center, ugh don’t get be started I hate it, it’s awful. Nothing but a bunch of noise and distraction, the feature shouldn’t even exist. The only things I want notifications from are messages and phone calls. Any clue on keyboard shortcut now to access command center? Worked on 11, on 12 swipe from the top right brings up the notification centre instead. I’d like to see the control center as an app. I use it enough to have in my bottom row. Swiping from the edge does not seem to work well on my iPad with its case on, and I need the case. Works for me now I’ve found it. Now matches my Android phones which is good. And no matter how I swipe I never get Control Center. At this point I feel like never buying anything again. I am not a systems engineer but even if I were, notification about all these problems would seem normal customer service. Thank you for this article! I have been going crazy trying to “fix” my missing control panel on my iPad Air 2. I have an iPhone 8 also, which still uses the old method, so it didn’t even cross my mind that this was a s/w change specific to certain devices.